A very basic characteristic of the inquiry process and project based learning is that students use a variety of ways to represent their learning. How do you teach them the "ways" first? 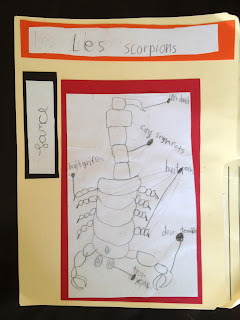 Grade 1 French Immersion students need so much scaffolding! 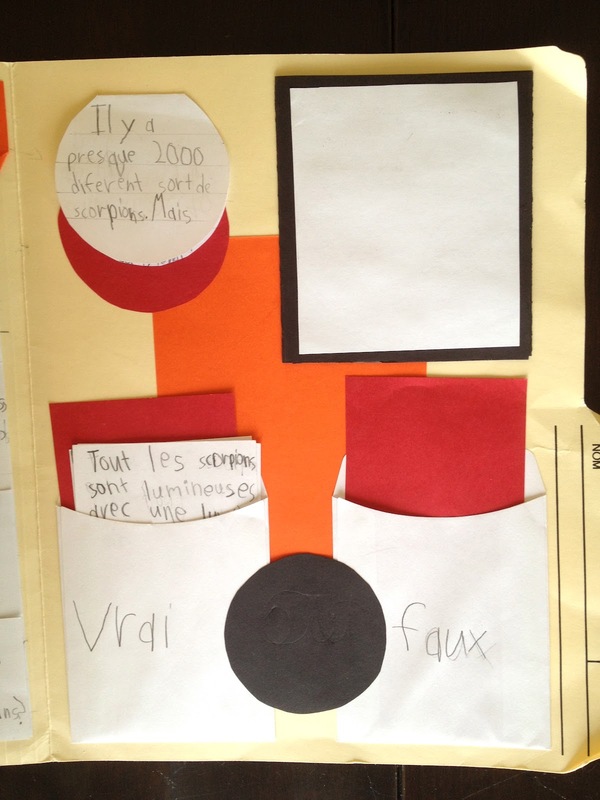 This project is one way that students can demonstrate their learning. Once students use a strategy at least once, they can add it to their bank of "projects". 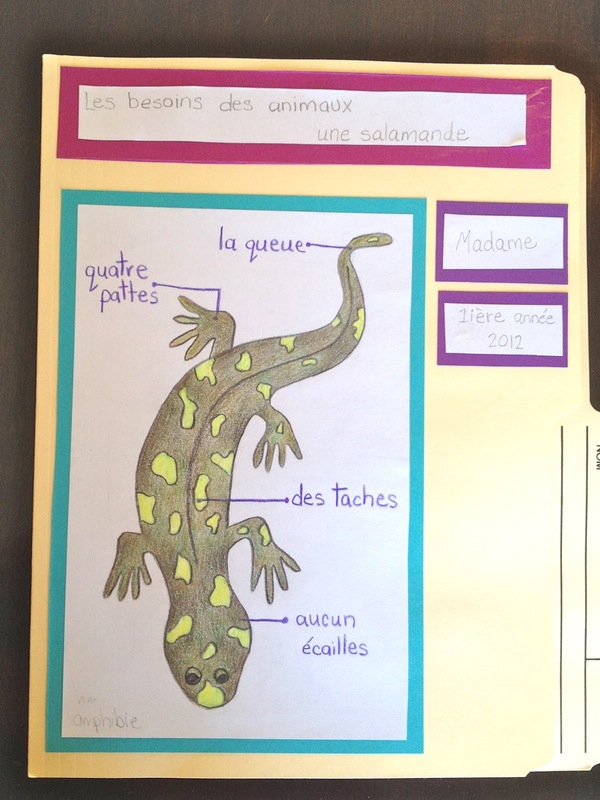 By the end of the year students will have a repertoire of many ways they can show their learning. 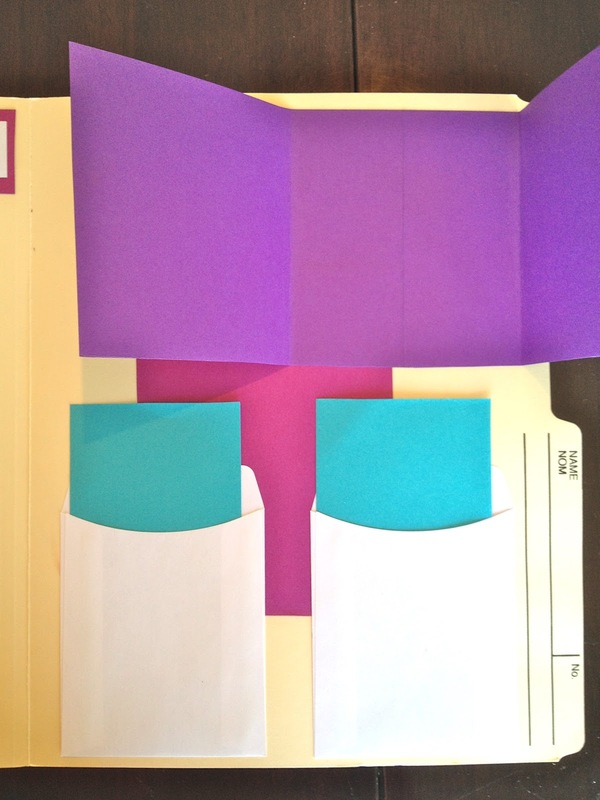 There are several digital apps that my student are familiar with, this post will cover a hard copy project. 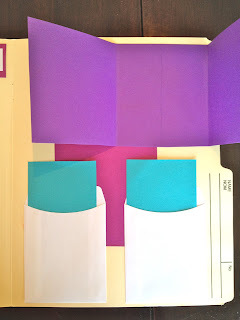 This research project is inspired by the foldables and lapbook ideas I see on pinterest. 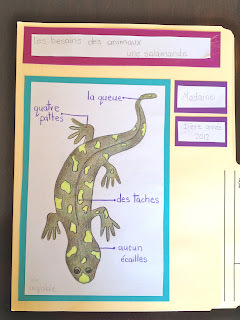 I think that by having young students generate small manageable pieces of information, rather than a lined page of writing, the work is more manageable, broken into smaller steps, and easier to share and display with one another. Legend and explanation of clear targets can be found here. 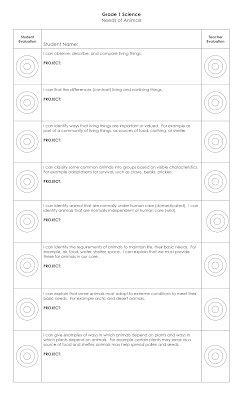 Here are the clear targets listed in "I can" statements for this unit of study taken from the Alberta Program of Study for Science. In retrospect I should also include the targets for other subject areas that this project will address. This sheet goes in an envelope on the back of the project/folder to be consulted during the project and once it is complete. This an important communication piece for parents and self-evaluative piece for students. It clearly shows them what is being studied and what the expectations are. Students can identify where they are at in their learning. 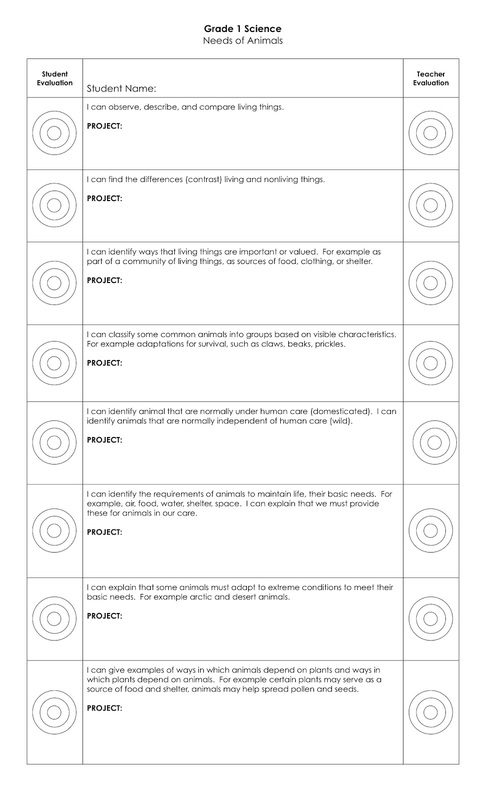 I have left space to jot in which project or lesson addressed each outcome and space for teacher or student notes. This single project won't address every outcome. As a planning tool I plot out on this sheet how many weeks each outcome or project might take to investigate - it's the beginning of a long range plan. 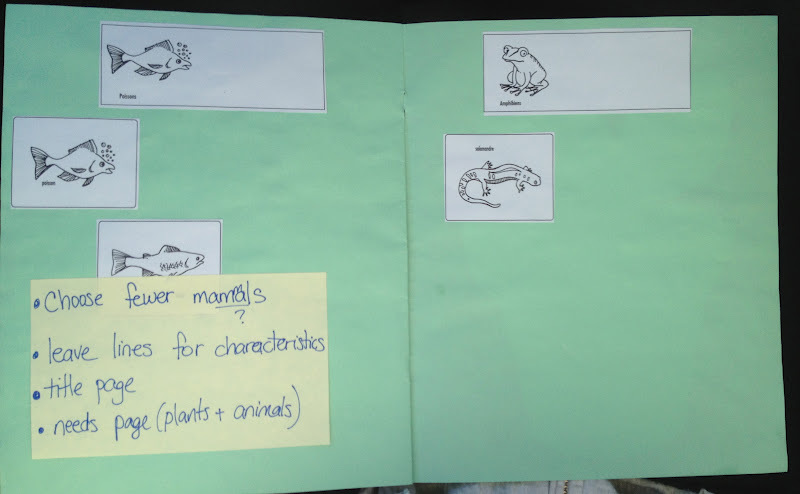 Here is a completed project geared for grade 2 targeting the learning outcomes associated with the science curriculum "small crawling and flying animals". 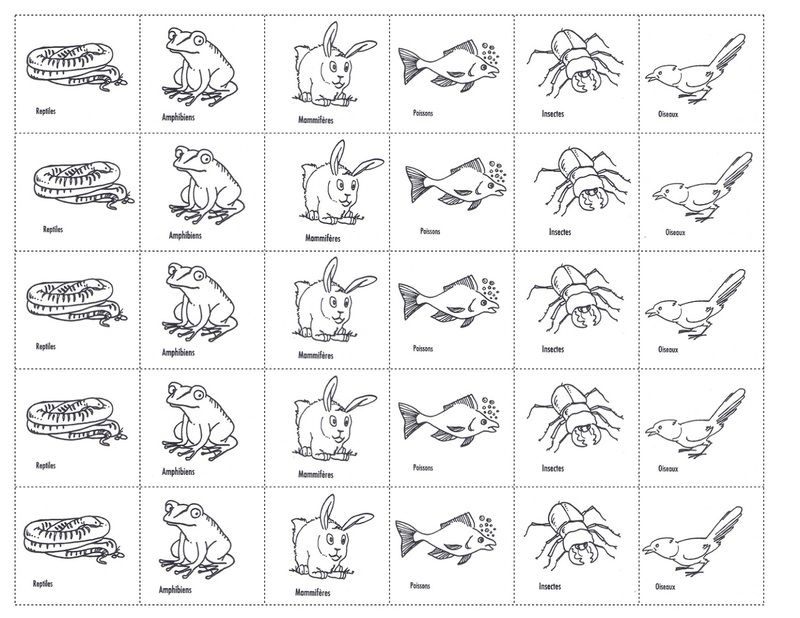 The students choose their own animal after a whole group study of the general characteristics of insects. 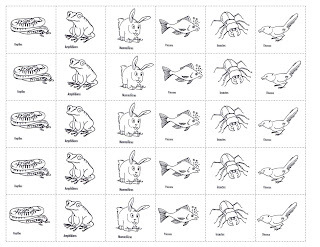 The first task is to draw your critter and label as many parts as possible. Students have had previous experience with the "project" I call "bits and pieces", you can read the post about that here. 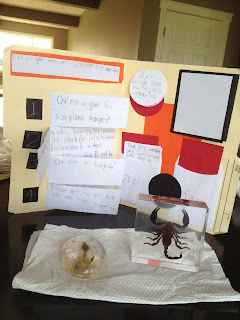 Inside, students answer their own questions about habitat, diet, and predators. 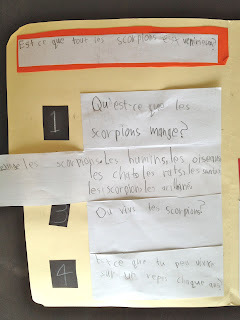 Along the top students generate a "big" question. This is something the students really wants to tknow about the subject. 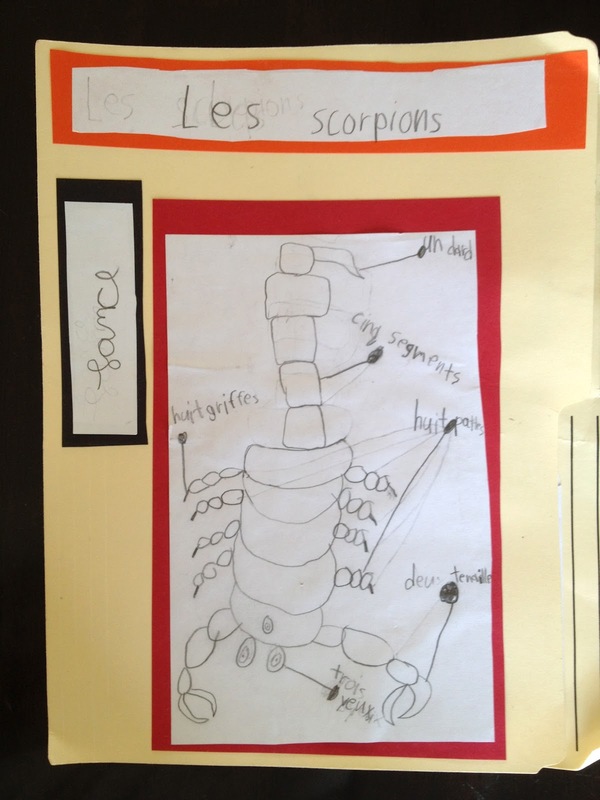 In this case the student had indicated that this would be a manual for people who were worried about scorpions and wanted to know where they might hide and if they would sting. Once they got the hang of it students liked the true and false section best. This is where the work could really be differentiated and students could show what they know. This part adds an interactive aspect to the project. 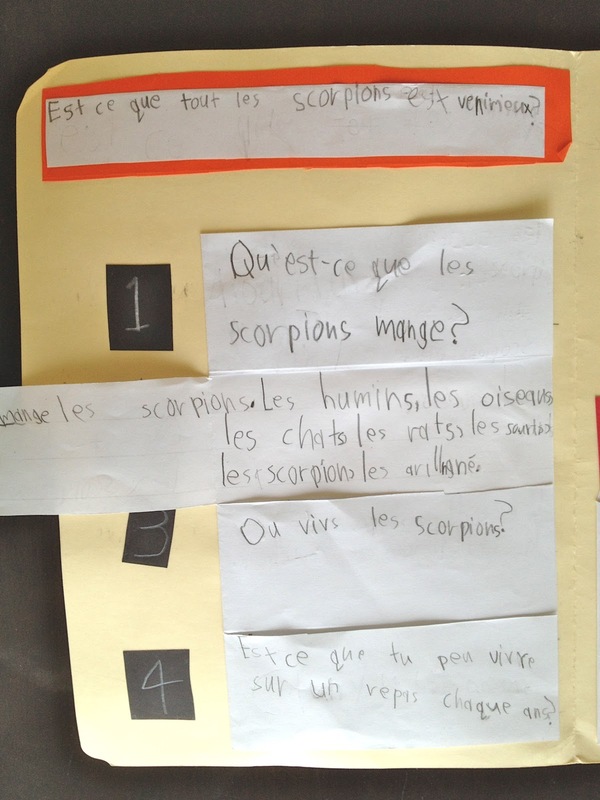 The small circle flip book is where students answer their "big"question. Stood up and opened the projects are like mini science fair projects with artifacts displayed in front. 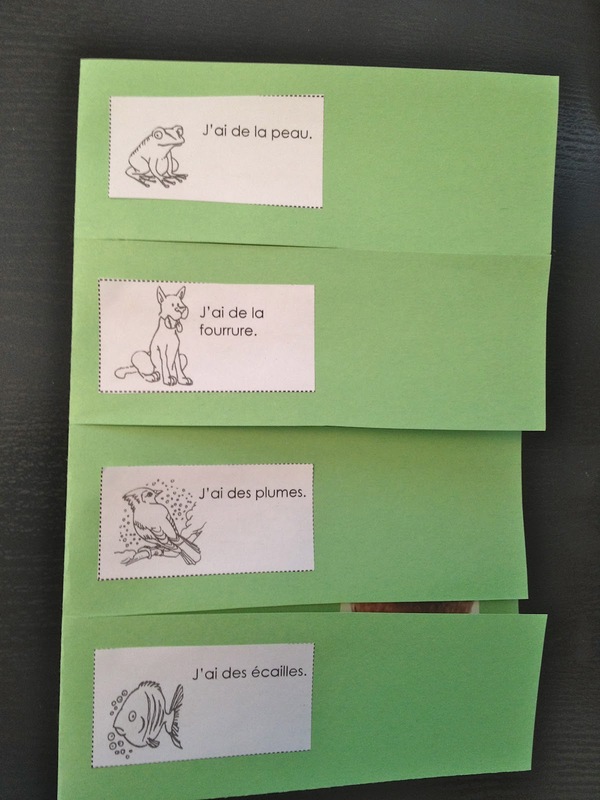 The true false cards are left out on the table and students and parents can try to put them in the right envelope (students wrote the answer on the back with any further explanations). 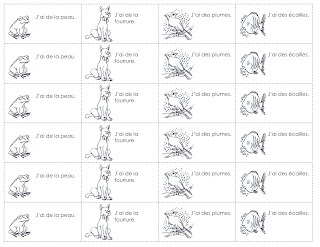 This is a template meant for grade 1. 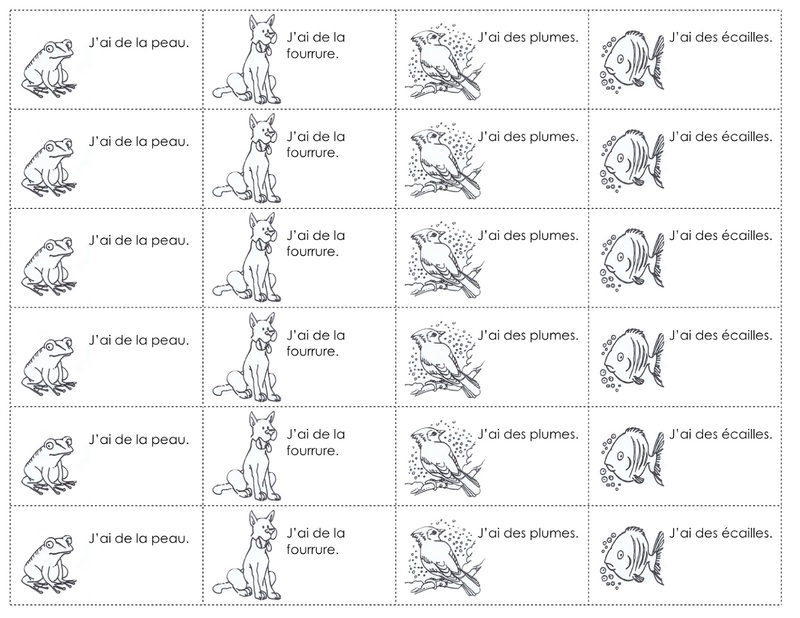 The format is the same but the pieces reflect the grade 1 outcomes associated with the needs of animals. 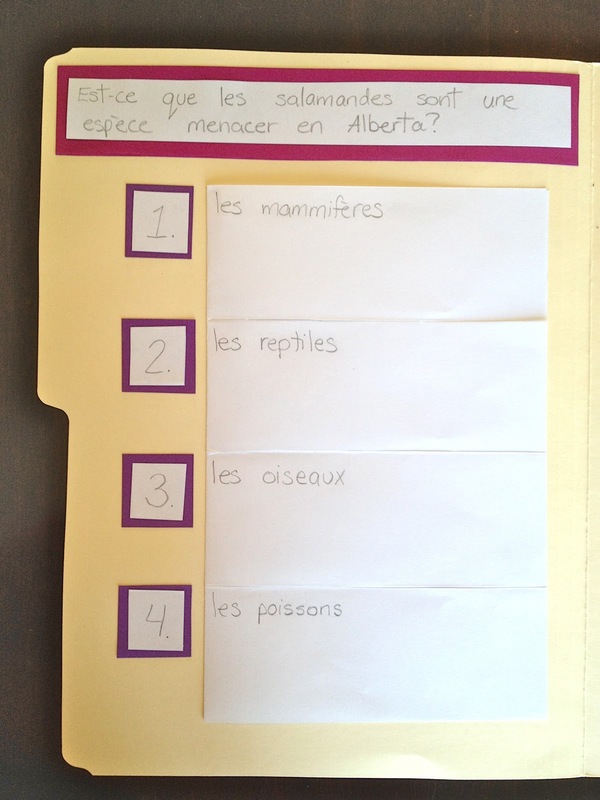 For grade 1 the students also generate a "big" question that is along the top of the folder. 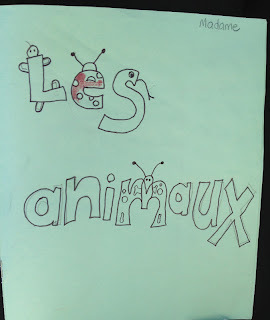 The flip book on this page is for classifying animals based on visible characteristics such as adaptations for survival; la fourrure, les écailles, les plumes, les griffes. In the example I made I put standard classification groups but the Program of Studies asks students to classify based on the criteria I just mentioned. Students can find images of their own animals to sort (magazines), draw them or use the collection I have included (coming soon). 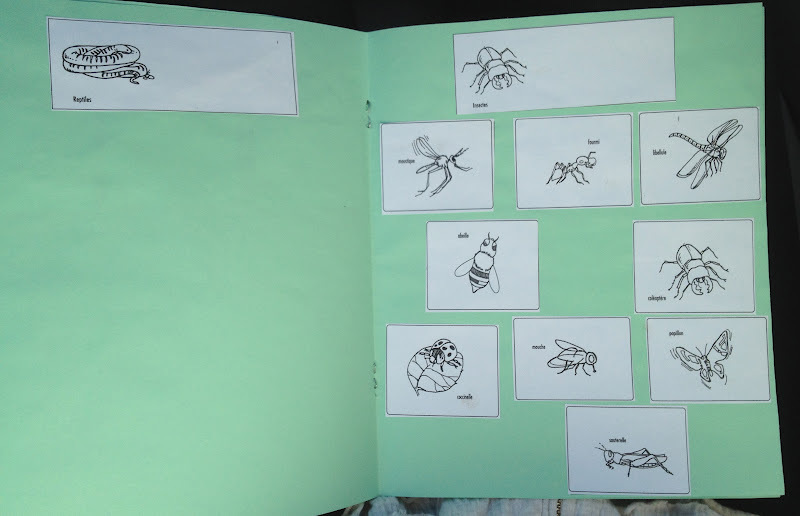 My collection includes insectes and amphibians so students may have to be selective about what they will include in their project and decide if some creatures don't fit any of their 4 categories, whatever they may be. For the grade 2 template students used the 2 envelopes to make up true and false questions about their critter. 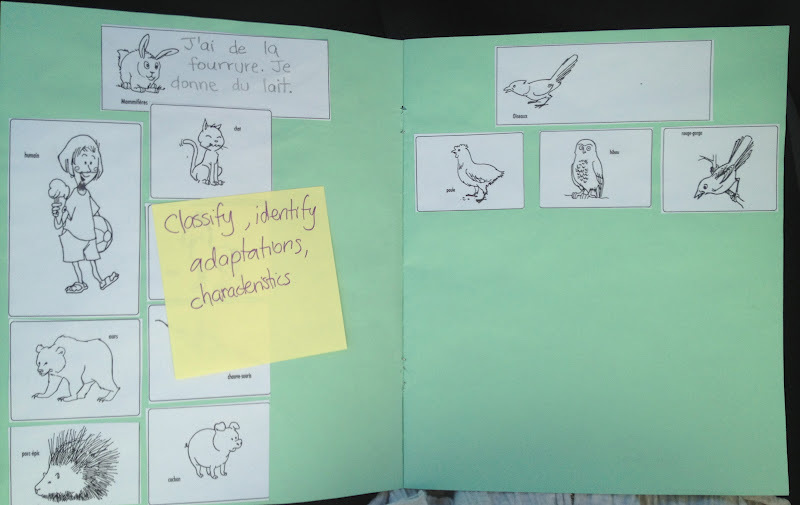 For grade 1 students classify a collection of creatures as domestic or wild (an outcome in the program of studies). 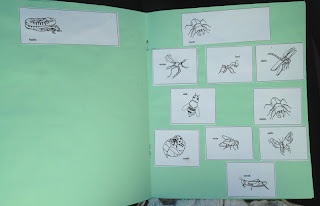 The flip book on this page for grade 2 is used to show the life cycle of the insect (or other small crawling and flying animal). 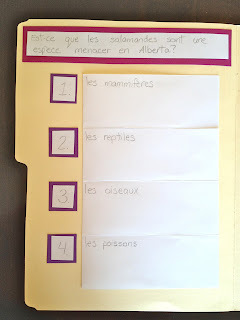 For grade 1 students use this space to identify the basic needs of the animal, where do they live, what do they eat, how do they breathe. Be sure to go to the next post for step-by-step instructions to help you and your students begin your research. Students decide how they'll sort or classify their animal collection. 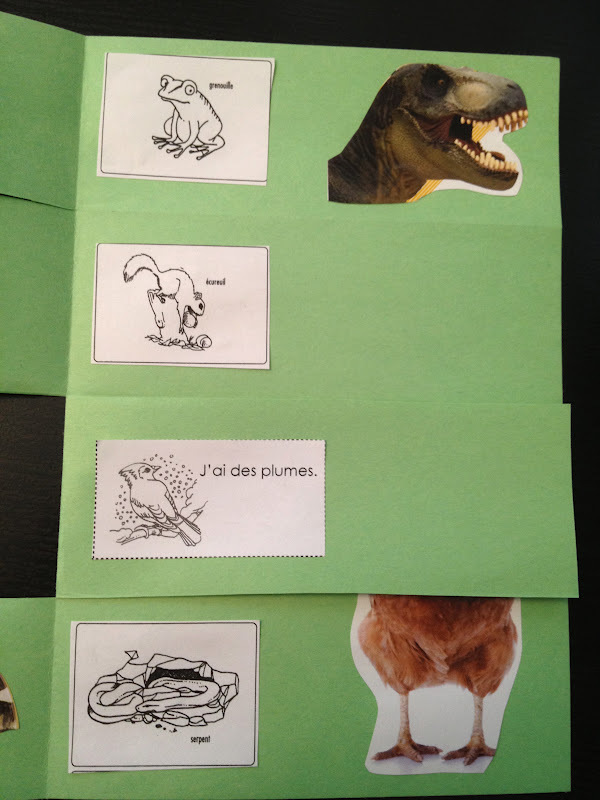 Here are a few ideas or headings they may use, either in a folder as above, a flipable, or a booklet. 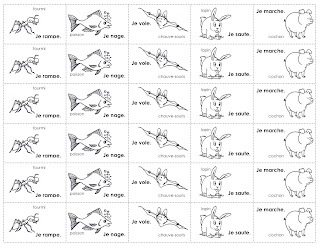 A few ways we classified animals. I found it best to stick to the learning outcome suggestion that students sort by visible characteristics. 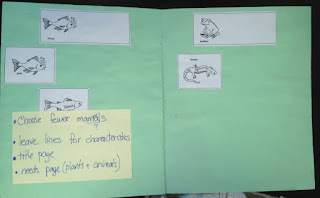 Some students wanted to sort their animals as mammal, reptile and so on in a booklet. These photos are my moc-ups. I always try out the project first to see what students might need. 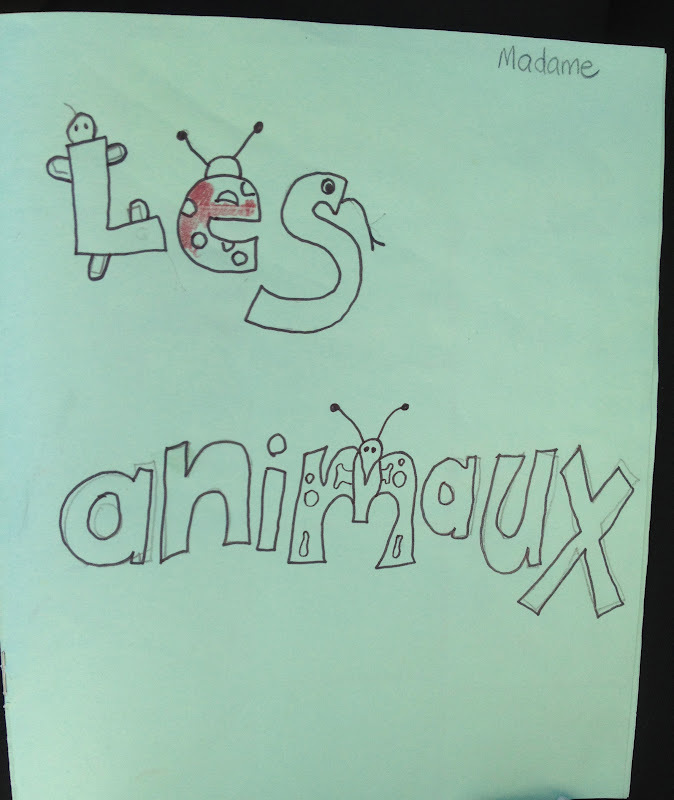 Students also added their own drawn animals, animals they found in magazines, pictures their friends had drawn, their pets. I forgot to photograph the student booklets. 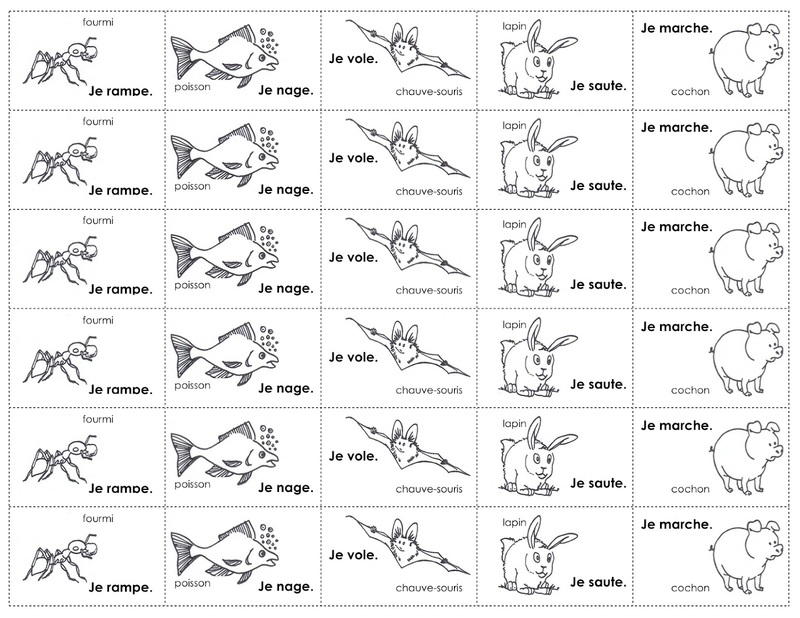 We wrote some characteristics of each group of animal together as you can see on the mammal heading with the rabbit on it.